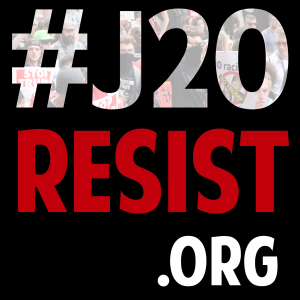 All out for #J20 Counter-Inaugural! The working class must unite! The presidential election is over. Trump captured the Electoral College even though a majority of people in this country voted — if they voted at all — against Trump. The big business media immediately ran headlines blaming the struggling, so-called “white working class” for Trump’s victory. It is sadly true that millions of working-class whites embraced or accepted Trump’s hateful rhetoric attacking Black people, all people of color, immigrants, Muslims, women, people with disabilities, Jewish people and the LGBTQ community. Many workers and small businesspeople, including those who lost everything after the 2007-2008 recession, fell for his empty promises to fix the economy. But the polls acknowledge that the strongest base of support for Trump’s fascist campaign was white people making over $70,000 a year. There is only one multinational, global working class. Media “experts” don’t acknowledge that Black, Brown or Indigenous voters are also part of the working class. Workers who can’t vote, including prisoners, undocumented workers and those under 18 years of age are part of the working class. In fact, these are the most exploited and oppressed sectors of the working class. There is nothing in Trump’s program for any of us. Truly, not just some, but all workers and oppressed people are hurt, threatened, and divided by bigotry and scapegoating. Now, unfortunately, leaders of the AFL-CIO as well as the Auto Workers, Steelworkers and Building Trades unions have adopted the posture of “give Trump a chance.” This is a betrayal of our class interests. What does the working class need? Workers need jobs — a full employment agenda that includes a massive public works program and a shorter workweek with no cut in pay. A national health program that leaves no one choosing between paying costly premiums and going without insurance. A moratorium on evictions, foreclosures and utility shutoffs. Quality public education and free college tuition. Restore and expand the social safety net, which has seen heartless cuts in food stamps, welfare, unemployment benefits and more. End so-called trade agreements like NAFTA and the TPP that hurt workers worldwide — not just here. Stop union-busting by the bosses. Reverse the dozens of anti-union bills passed by state legislatures across the country, including Jim Crow “right-to-work” (for less!) laws. Labor laws should not be written by people like the Koch brothers and the DeVos family. 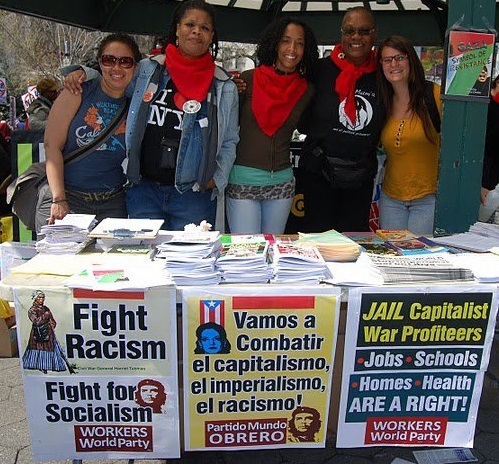 Workers need money to rebuild the infrastructure of our cities, not for the prison-industrial complex, the military budget or wars against oppressed people around the world. We need reparations for our communities — from Detroit and Flint to Puerto Rico — suffering from racist austerity. Forcibly stop hate crimes against people of color, Muslims, women, the LGBTQ community and immigrants — crimes that have been on the rise since the Trump election — along with the hateful rhetoric that encourages them. Plug the school-to-prison pipeline. Stop short-term projects like DAPL that poison the waterways, create no permanent jobs and ultimately only help Big Oil and the banks. 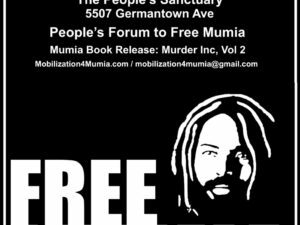 The epidemic of police murders of Black, Brown and Indigenous people must come to an end! Jail killer cops! Black lives matter! The appointment of fast food CEO Andrew Puzder is a declaration of war against Fight for $15. We need a $15 minimum wage and a union — not as a ceiling but a foundation to build upon. All workers deserve at least $15 and the right to organize and collectively bargain. This includes workers in the U.S. South, farm laborers, domestic workers, workers with disabilities, prisoners, vulnerable undocumented workers often subjected to wage theft, and superexploited precarious workers (often mislabeled self-employed). Workers and oppressed people are powerful! Our movement was growing even before the election. The number of strikes was up after years of decline. Verizon workers, Minnesota nurses and the Harvard dining hall workers were victorious. Prisoners struck on the anniversary of the Attica Rebellion. Rebellions have broken out in Ferguson, Baltimore, Milwaukee and Charlotte. 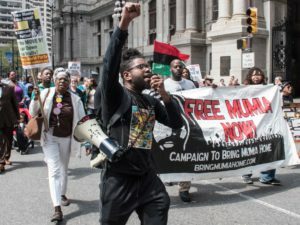 The Black Lives Matter movement is showing the world what a fightback looks like. The DREAMers, Fight for 15 and Standing Rock are other inspiring examples. Mass youth-led protests erupted as soon as the presidential election results were known. All of the working class must unite. Organized labor, the first line of defense for the workers and oppressed, must see itself as part of the broader working-class movement. Low-wage and precarious workers are a part of this movement. Unemployed and underemployed workers are a part. Prisoners are a part. Workers around the globe — superexploited, often by the same bosses we work for — are a part. Migrant workers, risking their lives to escape war or austerity, are a part. All of us, together, are unstoppable! We must show Trump, all the politicians and the one-percenters they serve: We refuse to be divided!